This handsome dog was lying at the top of the steps. 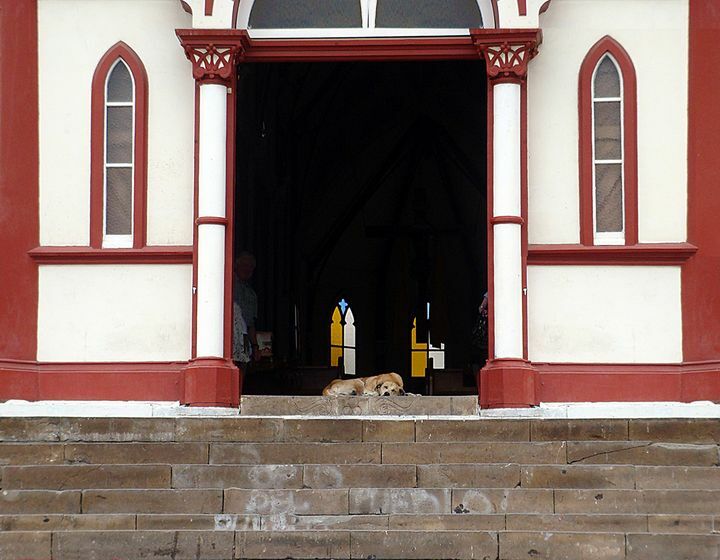 People walked around him at the popular Cathedral de San Marcos in Arica, Chili, South America. His face was so expressive and even though his eyes were closed you could tell he was so lonely and sad.